Today I turned 24. It was also the 101st day of the year. All in all it was a pretty grand day. I woke up early and made myself two eggs and toast eaten along with kiwi and orange juice. Then I worked a long day and didn't get home till 6:15. Not ideal. Possibly the best present of the day came next. I went out for a 5 mile run and crushed my previous 5 mile pace. Boo-yah. I managed to whip out an 8:45 min pace. I have no idea how this happened and I am pretty sure I have never run farther than 2.5 miles at that pace so I am pumped. I think this proves I can be better than my head thinks I can. 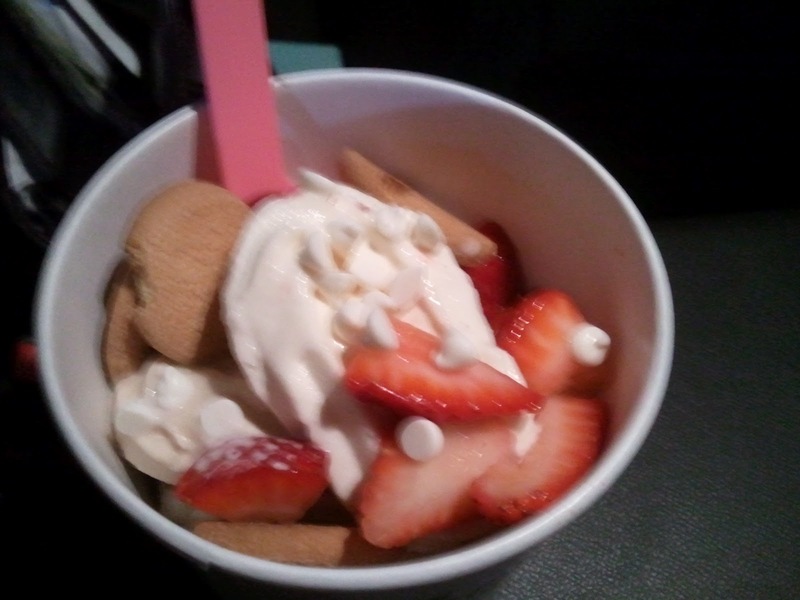 The night was still young so I finished it up with a haricut and some self-serve froyo. I tried out a new place called Yogurtland. Let's just say I'm a fan. The night ended with a slew of phone calls and a New Glarus Back 40 Bock. It wasn't too bad of a birthday.